Six Daleks are en route to NASA's Stennis Space Center disguised as "space shuttle engines"
NASA says they're "Pratt Whitney Rocketdyne engines" from space shuttles Endeavour and Atlantis... but we think they look an awful lot like incognito Dalek shipping containers. 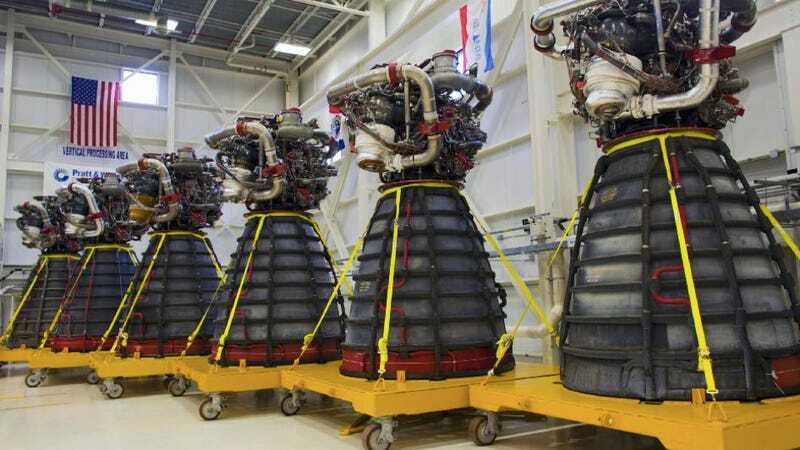 The agency says the "engines" are being shipped from Florida's Kennedy Space Center to Stennis Space Center in Mississippi, where they will be repurposed for use on NASA's next generation heavy lift rocket: the Space Launch System (SLS). When it's completed, NASA says the SLS will be the most powerful rocket ever built, and capable of taking us deeper into space than ever before. Tell me a powerful, deep-space rocket isn't the perfect hiding place for a Dalek sextet.